Ooh, y’all! 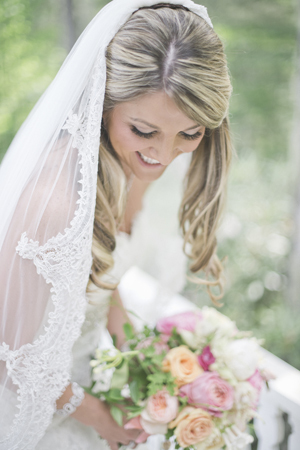 I am SO tickled to be blogging the first wedding from our latest issue, Southern Weddings Volume 5! If you haven’t gotten your hands on this beauty, order here! Let me first start by saying I feel like I’m a kindred spirit to Kalen + Parks, as their “meet-cute” involves the words “Roll Tide!” AND Parks was a college baseball player. Change a few details, and you’ve got a similar exchange from when my husband and I first clapped eyes on each other! 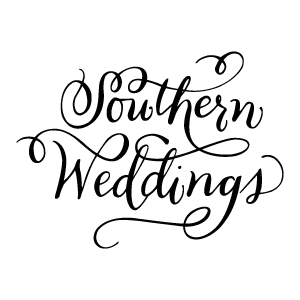 Though I love the rest of their story and y’all should absolutely read it below, let’s get on to the absolutely divine details of this sweet Southern soiree! Kalen and Parks chose the Old Edwards Inn in the mountains of North Carolina, making theirs a destination wedding for both them and their guests. They chose it in part because they wanted to make a memory at a new destination that they could return to for anniversaries for years to come, which I love! 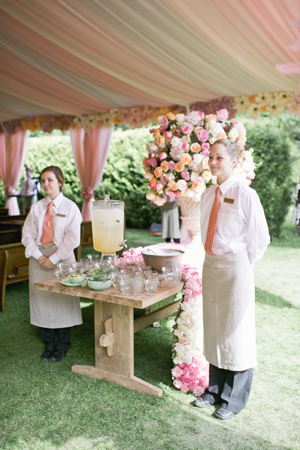 Kalen and her super-talented planner Calder Clark teamed up with Blossoms Events to create one of the most lush and detail-filled events we’ve ever seen, and we can’t wait to share it in two parts today. By the way, gigantic thanks to Jeremy at Harwell Photography, a true gentleman for capturing every (pink) detail in stunning style! How about those metallic foil + pink invites?? You are just the bee’s knees, Cheree Berry! What was the design inspiration for your wedding? Girly-girl meets rock ‘n’ roll. What were your wedding colors? Gold, gray, and tonal shades of pink, from blush to bubblegum. My favorite part of finding my wedding dress was the weekends I got to spend with my mom and sister in NYC on the hunt. All three of us went up the first time and after three appointments and knowing only that I wanted lace, we found the one I loved at Pronovias. I knew that it could get better. While the dress came with patches of lace, I wanted them to fill it in completely. Against that romantic lace, I thought inconspicuous glimmers of sparkle would give it the perfect “me” touch. We went to the garment district on the hunt for sparkle and ended up finding itty bitty little Swarovski crystals. Pronovias graduated them through the dress, heavier at the bottom and lighter at the top. While the dress was amazing, my favorite part was the adventures that it gave my mom, sister and I with the multiple trips to NYC for fittings. Bouquet perfection in pink! Kalen’s bouquet recipe included lisianthus, peonies, assorted garden roses, stephanotis vine, blushing bride, astilbe, maiden hair fern, and dusty miller. Her maids’ included lisianthus, peonies, assorted garden roses, astilbe, maiden hair fern, dusty miller, and phalaenopsis orchids. Describe your bridesmaids’ dresses. My mom actually bought the dress from Anthropologie for a holiday party. The second she pulled it out, she gasped and said “Kalen, I found the perfect bridesmaid dress for you!” I wanted a neutral color with gold, but I absolutely did not want it to be from a wedding store. So I dug hard and found the dress for my girls. It was perfect and pulled all of the elements of the wedding together. I remember that once we found them, I felt like I could actually visualize all of us standing up there and everything coming together. What did the groomsmen wear? Our Groomsmen wore the Vera Wang tux from her new men’s line, “Black.” The groomsmen were hard. I wanted them to look dressy enough to match the wedding, but didn’t want them to look overdressed and stuffy. The new tux from Vera doesn’t have silk lapels, and so I felt that was the best option. We also had custom Vineyard Vines ties with little sneaks and boots on them. Being that I have a boot store and Parks has a running store, our friends often call us Sneaks ‘n Boots. I gave my bridesmaids boots at the bridesmaids’ luncheon as a thank you, and Parks gave our groomsmen custom sneakers from Nike. The guys changed right after the ceremony into their bright kicks. So Parks! Favorite design element of your big day: The flowers! Holy cow! How does one find that many perfectly-bloomed flowers?! I absolutely loved the romanticism of the flowers, the antique china and the lace and pearls mixed up with raw, rustic wood. It represented our families perfectly. We are all very traditional people and very wholesome people, but there is a pistol inside of all of us. Both of my parents and Parks’ parents, all of our siblings and Parks and I will give you the shirt off our backs, but we will also fight like hell for each other. I think the girly, romantic feel of the wedding mixed with the raw, wholesome elements played off of each other perfectly. Holy moly!! Can you just imagine looking up, and seeing those gorgeous blooms as you said your vows? I’m not sure I could concentrate! What was the most memorable or touching moment about your wedding day? Parks says it was seeing me walk down the aisle. I would say just being together. Parks and I never left each other’s sides so that we would have all the same memories of the night. Every dance and every moment was special. We soaked every second in. 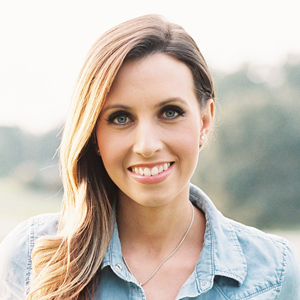 Guess what, y’all… there is more coming a little later from this beauty! Occupations: We both own retail stores. Parks has a running specialty store that offers anything a runner would need and currently has six locations. I have a boutique in Tampa that has a country theme, selling the latest in fashion trends along with cowboy boots. How did the two of you meet? Tell us your story. My mom had been wanting to start running, but her feet always hurt, so we stumbled into Fit2Run. Parks was working the floor that day and started helping my mom find the perfect shoe. Parks said he had played baseball at Georgia, so I replied with a “Roll Tide.” Parks said his parents went to Alabama and my mom said, “she has a bulldog!” Parks had a bulldog, too, so we started showing pictures of them. My mom then continued to drill him with questions. He answered every one of her questions perfectly to meet her dating criteria for her daughter. She asked him about politics, religion, family values, and hobbies. After two hours of “shoe shopping” with Parks and realizing we both had retail in common, he asked for my number. He called me the next day and we met up at the Bucs game that weekend. I had my sister with me and he was with all of his brothers. We hung out there, and the next night he took me on the best first date I’ve ever had on Clearwater Beach. We have been together every day since and the rest is history. Describe the proposal: July of 2011, Parks took me to Grand Cayman for a few days away from work. Everything about the location, time, and atmosphere was so fun and perfect that I was never expecting a proposal. I just completely forgot about it. Tuesday, we hung out on the beach all day and Parks insisted that we go for a run before we went to dinner. I had been anxiously awaiting the arrival of the new Nike Lunarglide when Parks said he had a present and pulled them out of his suitcase. I put them on and said “Let’s go!” He told me to put a Nike chip in my shoe since he didn’t think the GPS would work. I took the shoe off and opened the hole where the chip goes. Still not seeing anything, I handed him the shoe. He insisted I put the chip in myself. When I finally looked in the shoe, my ring was inside of the hole. Parks then got down on one knee and of course, I said yes. It was perfect..
Three adjectives that describe the day are: Romantic, enchanted, and most importantly, FUN! What was the weather like on your big day? Warm and sunny with clear skies and a mountain breeze. How many guests attended your wedding? 210 people attended the wedding weekend events, which included a rehearsal dinner, the ceremony and reception, an after party, and a farewell brunch. Who participated in your ceremony? A great friend of our family, Jack Taylor married us. It meant so much to me to have someone special do that for us. One of my best friends, Evie, read the Apache blessing during the ceremony. Who was one of the most special guests at your wedding? Each and every person was special. It meant so much to us that so many people came from so far to celebrate our wedding. What a blessing it is that we have so many family and friends and such a great support system. Harwell Photography is a fabulous member of our Blue Ribbon Vendor Directory! Oh my, I adore her bouquet! Those engraved mint julep cups are amazing, as well!! I LOVED this one in V5!! Those wooden pews, her color scheme…and I adore all of her pretty blooms – from her bouquet to the the ones draping in the tent… it’s to die for! Oh, Kat! I’m right there with you! Those wooden pews melt my heart! I love this wedding. It is just fabulous! How fitting that today you feature a Manuel Mota bride….. I saw this wedding in V5 and it blew me away. The tent is the most gorgeous tent I’ve ever seen, and those flowers are to die for. I love that they got married in the mountains of NC too. Perfect. Just Perfect. This was hands down my favorite real wedding in V5! I fell head over heels for the floral design- especially the ceiling details in the ceremony and the lined entrway at the reception. The mint julep cups, the champagne jello shots, the draping, and the lounge seating also stole my heart. Eeep! I couldn’t agree more, Jessica. I died over the groomsmen and their sneakers. Totally something my husband would have LOVED to have done. And of course the floral design blew me away! So honored to have been a part of Kalen & Park’s wedding! They are such a wonderful couple! Calder, Caitlin and Lauren were such a joy to work with and so many of the other amazing vendors gave me such beauty to photograph! 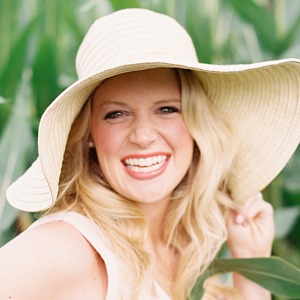 I am so honored and excited to be featured in V5 and on Southern Weddings blog! A special thanks to my amazing second photograph Gabe Aceves http://www.gabeaceves.com who’s photograph of the large urn at the ceremony as well as the image of Kalen and Parks saying their vows. Hi there. I know this is random but you look identical to my sister. The resemblance is crazy! Y’all honestly look identical! Truly, the most stunning florals I’ve ever seen! Hi I am getting married soon and want to do as much DIY progects as i can. When i saw your flower girls basket i fell in love. Where can i get the pattern to make it? I have looked all over and cant find it. BREATHTAKING flowers! So in awe! So gorgeous and delicate, yet striking! WELL DONE! How was the canopy or tent made and what is it made out of? Wow! Those flower arrangements are just gorgeous! What a beautiful wedding!